The impact of traumatic experiences on first responders and a resulting increase in suicide was the subject of a meeting of the House Veterans Affairs and Emergency Preparedness Committee this week. 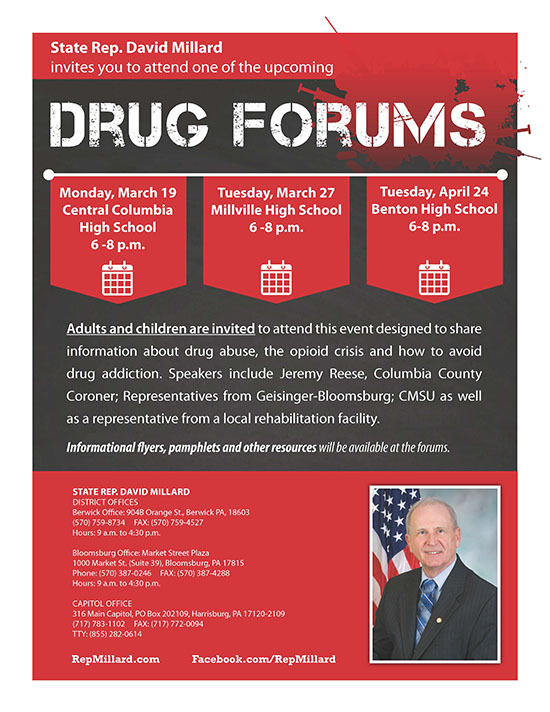 A focus of the conversation was the stigma that prevents many from seeking or accepting help, especially from those without similar experiences, and the fear of sharing horrors that will only infect the other person without alleviating anything from the first person. First responders are also concerned that trauma and stress on them could cause their employers to consider them incapable of doing their jobs, leaving them without access to insurance or workers compensation benefits, and unable to provide for their families. A number of improvements are being considered, including a hotline staffed by police, firefighters, emergency service providers and their family members to give people the opportunity to talk anonymously with people who have experienced the same things. Making sure every dollar of state tax money is used to its maximum benefit, the House Appropriations Committee wrapped up its three-week series of budget hearings Thursday, with two full days of questions about the education and human services aspects of the governor’s proposal and accountability measures. Monday’s hearing featured both K-12 and higher education, with main topics addressing school safety, state financial investment and career-technical education. Special attention was placed on the long-term future of the Pennsylvania State System of Higher Education and its increasing expenses, tuition rates and contract costs. Citing the governor’s veto of the Human Services Code last year, both the committee and the administration focused much of their discussion about ways in which the Department of Human Services can be more innovative to better serve the neediest of citizens and reduce costs. The Appropriations Committee will take the testimony gathered from these hearings into negotiations for the 2018-19 budget. All of the hearings are available here. To help celebrate Pennsylvania Charter Day, the Joseph Priestley House, Northumberland is one of several historic sites offering free admission on Sunday, March 11. Charter Day celebrates the founding of the Commonwealth and gives visitors to The State Museum of Pennsylvania a rare opportunity to see the original Charter of Pennsylvania written in 1681. This year, four original Indian deeds tracing the sale of lands by American Indians to William Penn and his successors between 1683 and 1789 will be part of the display. The documents will be on display until Friday, March 16. • The Bloomsburg High School Girls Swim Team won the District 4 championship. • The Central Columbia Boys Swim Team won the District 4 championship. • Benton High School’s Derek Buck, a junior, has been selected to play trumpet at the All-State Band concert in April. • Columbia-Montour Chamber of Commerce recently awarded Steph’s Subs as Small Business of the Year, SEKISUI as Large Business of the Year, Geisinger’s Denise Stone as Outstanding Citizen of the Year, and Justin Robbins received the Chamber’s Community Progress award. The Central Columbia FFA Chapter assisted this year with the 2018 Columbia County Rural Community Safety Day. 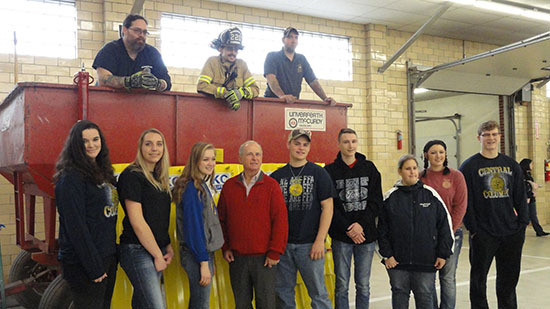 This event was held on Saturday, March 3, at the Bloomsburg Fairgrounds in conjunction with the Columbia County Farm Bureau, Columbia County FFA Chapters and the Columbia County 4-H. Numerous governmental agencies, along with private agricultural and environmental associations, participated in presenting information about many agricultural and environmental safety issues and concerns. Some of the topics covered were food safety, animal safety, pesticide safety and equipment safety. Pictured with me are Mifflinville Forest Rangers and Central Columbia FFA members. Daylight saving time will begin on Sunday, March 11, at 2 a.m., and residents are reminded to turn their clocks ahead one hour Saturday night. This is also a good time to check and/or change batteries in both smoke detectors and carbon monoxide alarms. They should also be replaced every 10 years. Daylight saving time will end on Nov. 4. 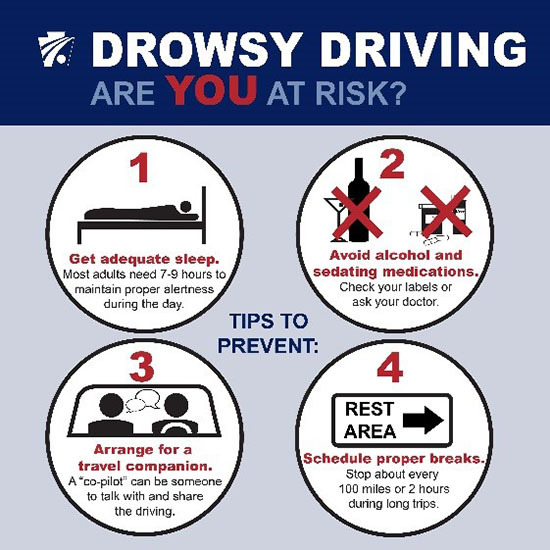 Did you know that drowsy driving can be just as dangerous as impaired driving? Being tired causes slower reaction times, effects judgement and can impair vision. Being awake for 24 consecutive hours impairs driving as much as having a blood alcohol content (BAC) of 0.10 percent, higher than the legal limit. • Difficulty remembering the past few miles driven. • Drifting from your lane. • Hitting a rumble strip on the side of the road. The best thing to do if you begin to feel tired while driving is to stop driving. • Central Columbia High School will be performing Les Miserables from Thursday, March 8, through Sunday, March 11. • Bloomsburg High School will be performing Mary Poppins on Friday, March 9, and Saturday, March 10. • Daylight saving time begins on Sunday, March 11. Remember to turn ahead clocks and check smoke detectors and carbon monoxide alarms.